Can you believe that it’s been 30 years since the world first met Kipper the dog? 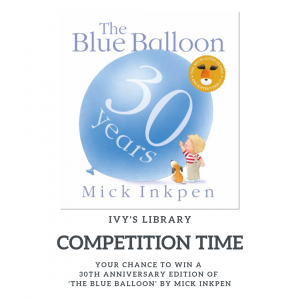 To celebrate, we’ve teamed up with the lovely folks over at Hachette Children’s UK to give you the chance to win a gorgeous 30th anniversary edition of the very first Kipper book – The Blue Balloon by Mick Inkpen. We have two copies available – one for Facebook followers and one for Instagram followers. The contest is open internationally and will run for 2 weeks. The winners will be selected at random at 8.30pm GMT on Saturday March 30th.